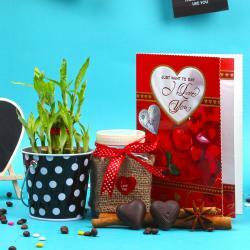 Give your sweetheart a wonderful surprise on any special day with this appealing Love Gift Hamper from Giftacrossindia. 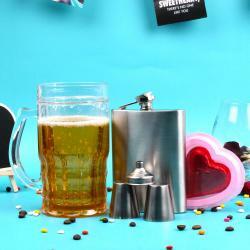 This is one of the exclusive gift items of our collection. 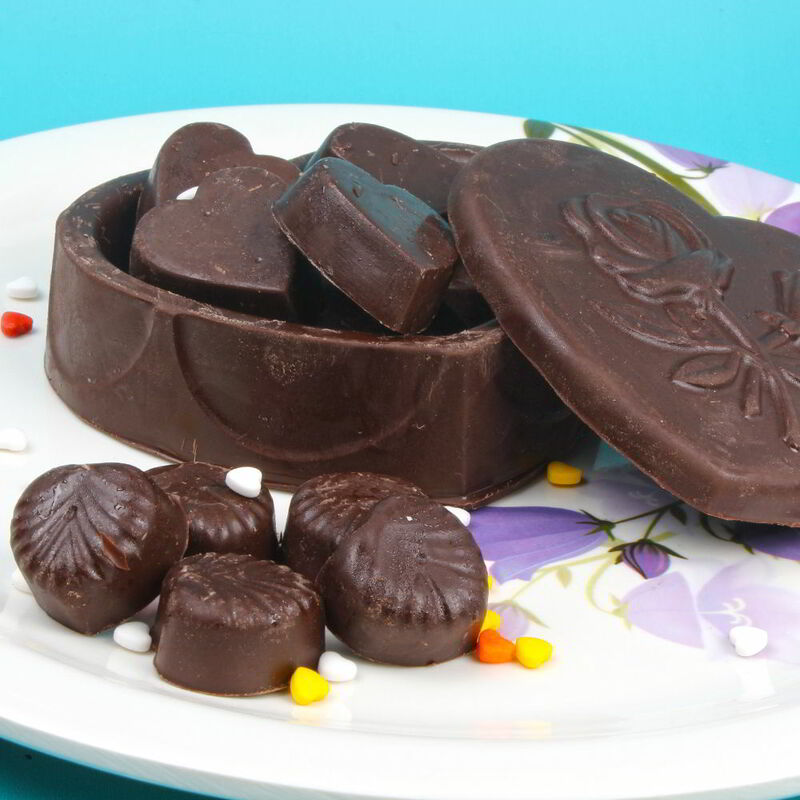 Our rich and delicious Handmade chocolate are a perfect delight for you and your loved ones. 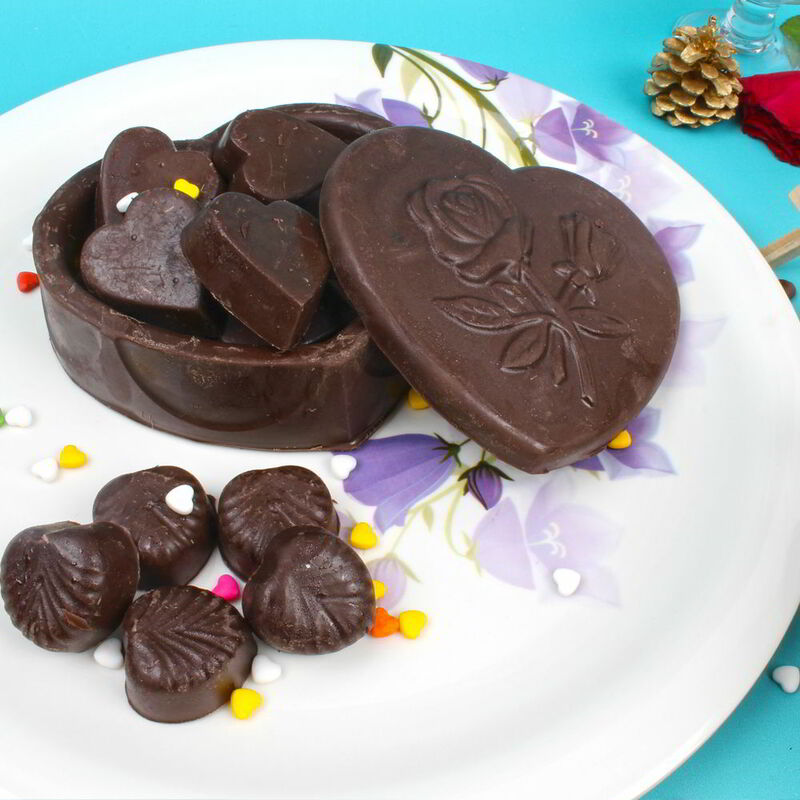 Specially made for Valentines Day gifting purpose, these chocolates are 100 percent Veg and bring great joy of the yummiest treat. 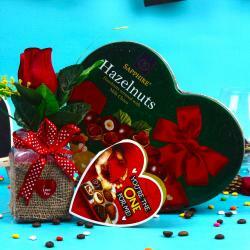 Premium Quality fresh ingredients are used to make these chocolates. 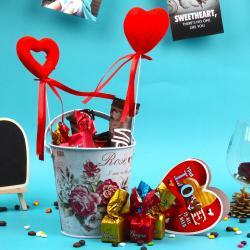 Product Includes: Heart Shape Chocolate Container files with Home Made Chocolates (Weight: 300 Gms).